The wp store is a compromise between apple's benevolent dictatorship and android anarchy. 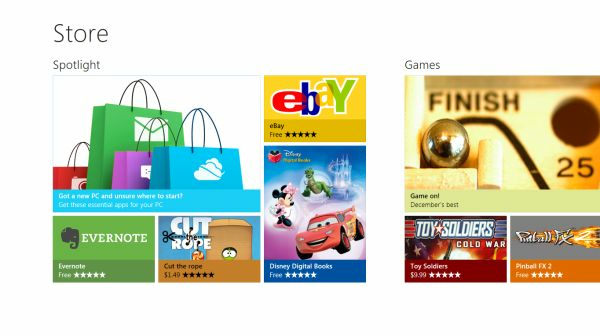 In an announcement aimed squarely at developers, Microsoft's Antoine Leblond and Ted Dworkin yesterday revealed some hard details for the upcoming Windows 8 app store. Using Apple's and Android's various app stores as a point of reference, Microsoft has come up with terms that aim to address common complaints about the app store model. First, the money: registration fees for individual developers will cost $49, and $99 for companies. When a paid app is first posted to the store, the revenue will split between the developer and Microsoft using the standard 70/30 ratio, but for apps that make more than $25,000, the split will change to 80/20 in favor of the developers. Unlike the Mac App Store, Microsoft will also allow both time-based and feature-based trial versions of apps in its store, which can be upgraded in-place to the full version if the developer supports it. Paid apps can start at $1.49 and cost up to $999.99. The approval process for apps looks to be a more developer-friendly version of Apple's system: Windows 8 will be a curated platform, which should help curb some of the malware problems that Android is having. However, criteria for approval are clearly laid out even at this early date, and developers whose apps are rejected will be given feedback on what changes they'll need to make to get approved. Developers can also get status updates on exactly where they are in the approval process (all of this sounds pretty good, though Microsoft's rules for things like Xbox Live games and patches have drawn some criticism from developers for their inflexibility). For both advertisements and in-app purchases, Microsoft offers its own platforms but does not mandate their use. If a newspaper or magazine publisher has an existing database of its users and a pre-existing authentication system, that publisher is free to continue using them in its app. Apple began mandating the use of its systems for in-app purchases earlier this year. Lastly, as usual, Microsoft spent some time assuaging the fears of its enterprise customers: via group policies and PowerShell scripts, domain administrators can both permit and deny access to the Windows Store and to individual apps, and can also deploy Metro apps directly to PCs without using the Windows Store at all. This functionality could be particularly useful for volume-licensed apps.